Land creatures with Blood Moon? 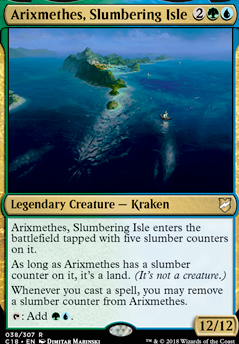 Arixmethes, Slumbering Isle enters the battlefield tapped with 5 slumber counters on it. 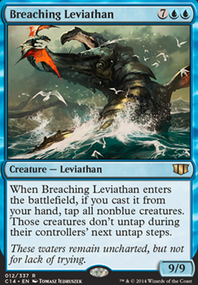 When you cast Phyrexian Dread-Not, each opponent must exile a non-artifact permanent of each other permanent type. 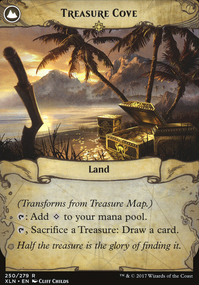 If ~ enters the battlefield, destroy all non-artifact, non-land permanents. 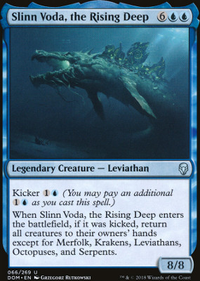 When ~ dies, return each exiled permanent to the battlefield under its owner's control. 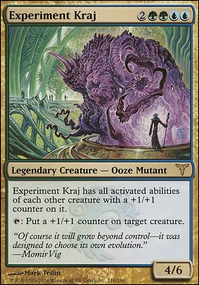 I think it might be better to get some Hydras in here, Kalonian Hydra is a beast with enough mana. 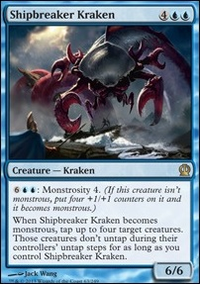 While Hedron Crab does have landfall, your deck is not a mill deck and so I think its best to focus on bigger blue green creatures such as Nezahal, Primal Tide , Ghalta, Primal Hunger , End-Raze Forerunners , Rampaging Baloths as reliable finishers. 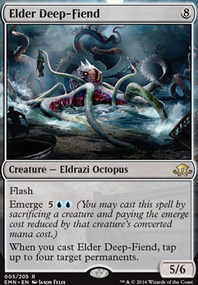 For your earlier game, Incubation / Incongruity can act as a fisher for more cards or a removal spell, extremely versatile. Vorel of the Hull Clade and Arixmethes, Slumbering Isle actually clash with each other... so i think out with Vorel and in with a finisher. 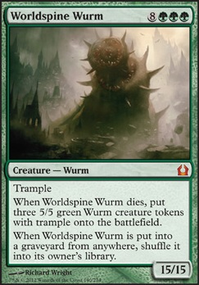 It's a bit expensive, but Scapeshift can win you the game, with probably 6-7 lands entering the battlefield in 1 turn in the later game. 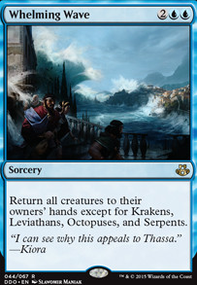 All the cards I mentioned above in EDH doesn't make too much of an impact and not good enough in a multiplayer game. I saw a lot of pump cards but the thing is once you use it will be over, in a 1v1 situation those cards can be considered but you are going for a multiplayer game, so you want to have longer lasting effects or worldly buffs than single shot pumps. 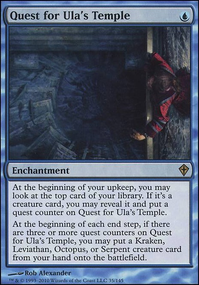 You can start by trimming out those cards first, and also changing the mana base a bit as 30 lands it fairly low for a deck thats not akin to storm or combo, you can up it to at least 34-36 lands, I would say 36 for now until you start refining the deck. 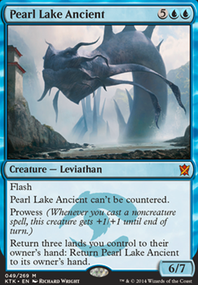 I'm currently making an Arixmethes, Slumbering Isle deck myself and i'm running a lot of untap cards ( Argothian Elder , Krosan Restorer , Pemmin's Aura , Freed from the Real and Counter removal cards ( Power Conduit , Clockspinning , and Chisei, Heart of Oceans . 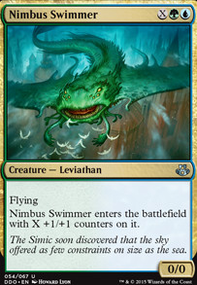 Shimmering Wings can be cast as many times as you have 2 blue mana and has the added benefit of giving your creature flying. 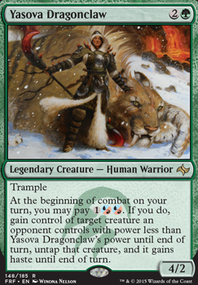 Llanowar Scout / Sakura-Tribe Scout combos nicely with Retreat to Coralhelm . 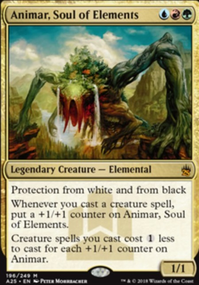 Oh, also, I realized that in my hatred for Temple of the False God , Bane of Every New Player Who Has Bought a Precon Deck Since 2011 and Bringer of Keeping Two-Land Hands When You Really Shouldn't, I forgot to mention the best replacement. 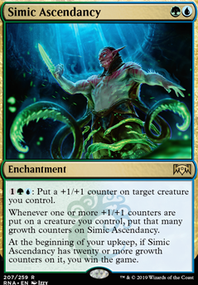 Arixmethes, Slumbering Isle is perfect in the 4-drop ramp spot for The Mimeoplasm self-mill decks. 12 +1/+1 counters? Yes, please. 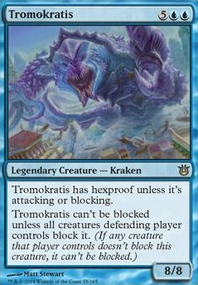 timckmorse on Advertise your COMMANDER deck! 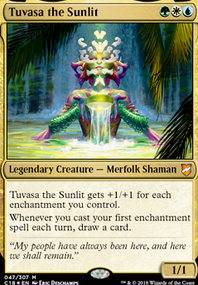 Trying to build an Arixmethes, Slumbering Isle deck and will take all the help I can get.